Roger Johnson and his wife Linda are the proud owners of the Food Shack in Bossier. This location opened in March of 2018. It’s the second location for his Cajun and barbecue restaurant, but the first public restaurant. His first location is privately located inside Teleperformance, the call center in Southwest Shreveport, exclusively for its employees. Johnson has been in the food industry for 10 years and he also has a Steel business called North Shreve Steel which he’s owned for over 30 years. To say he’s a successful businessman would be an understatement. Johnson is a long time native of Bossier and felt led to spread his delicious menu where he will always call home. Food Shack might be new to the area, but it has already picked up a large following on social media gaining a lot of attention. Josh Woodard, the Operations Manager at Food Shack, thinks it’s a great outlet to use to promote the restaurant and what it has to offer. The Johnson’s are very involved in their church and make sure that their Christian lifestyle and values are reflected in their business. Most of Johnson’s employees are made up of high schoolers including his grandson. Giving them a job and a fun, safe place to work is very important to him. He makes sure to work around school schedules, family functions, vacations, and any other extra-curricular activity that his employees have going on. Each employee is cross trained in the different areas, so everyone can say they are qualified to meet every need of the restaurant. Wednesday for medical field employees to also receive 10-percent off their meal. Earlier this month, they offered 10-percent of all sales through the week of September 10-15 that they donated to the Bossier Parish Chapters of the Fellowship of Christian Athletes. The team has some more promotions in the works that will be available soon. The top sellers off the menu are the catfish, salads, the shack shake, and Johnson personally enjoys the onion rings. Johnson’s head chef is sure to prepare everything from scratch and she incorporates her family recipes into the barbecue sauce and potato salad. She also acts as quality control making sure all the other cooks are accurate with her recipes and ingredients. 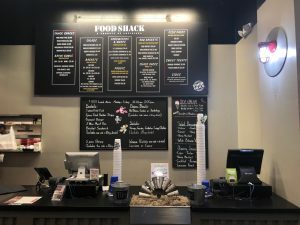 Food Shack uses a 500-pound smoker for all its meats and honors those health-conscious customers by offering salads, grilled catfish and chicken, and wraps. 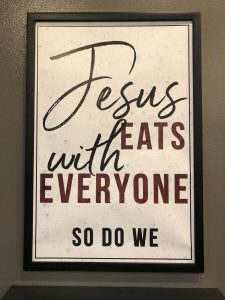 There’s a little bit for everyone at Food Shack. 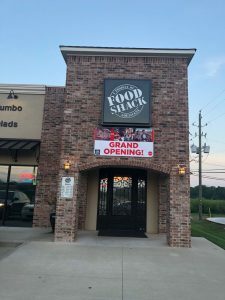 Food Shack paired up with their neighbor Airline Drug and held a joint ribbon cutting on Sept. 21. They offered goodies for people of all ages and everyone who visited had a great time. Be sure to take advantage of all the great specials Food Shack offers and enjoy some fresh Cajun cooking with your friends and family. Johnson has made sure to put his heart and soul into this restaurant and wants to share it with all of those here in Bossier City. Friday & Saturday 10:30 a.m to 10 p.m.